Home » Seeds » Seeds - News » Bayer buys Monsanto, but which difference does it make? Bayer buys Monsanto, but which difference does it make? 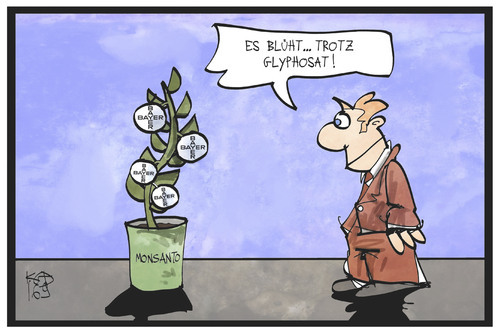 It took them a while, but still on September 14, 2016 the deal is finally done: Bayer has bought Monsanto. The deal is worth 59 million Euros. The newly merged company will become the biggest producer of pesticides and seeds and will have a global market share of more than 25% in both sectors. There is yet one more obstacle to overcome – European and US antitrust authorities must approve the deal. The European authorities had started investigating the merger several months ago but the outcome is not expected any time soon. The new company will most likely be made to part with some of its assets in order to reduce its market dominance. By the way, the previous merger between Dow and Dupont still has to be granted the approval of the US authorities. The take-over made the headlines. And they were often alarming. The NOS (main national news channel) headline was “Dutch farmers fear the Monsanto take-over” (Nederlandse boeren vrezen overname Monsanto) and the title of an article on the newsblog Joop.nl was even harsher: “The monstrous Monsanto take-over is making the world tremble with fear” (Monsterovername Monsanto doet wereld huiveren). But is it really that bad? There had been around six major companies that dominated that market of seeds and pesticides and that a decent farmers had to avoid. We are now left with three after a series of mergers, namely Bayer-Monsanto, Chinachem-Syngenta and Dow-Dupont. Ah yes, we shouldn’t forget the poor BASF, which is now slightly laying behind. These mergers, and the Monsanto take-over in particular, do not make the problem much worse, but they in fact highlight what the problem is. Hopefully this, helped by the wave of negative publicity, will lead to greater awareness among farmers, traders and consumers, and maybe even among politicians. If we want to make agriculture on the whole planet climate neutral, to preserve the available land and its fertility and to allow current farmers to lead a respectful and healthy life, then we must work towards an alternative food production system, which is based on agro-ecological principles and is independent from the big corporations dominating the agriculture sector at present, regardless if their number is 20, 6 or 3. Bayer-Monsanto becomes the market leader in the production of pesticides, which is a product that sustainable agriculture must avoid anyway. What is more, the new company is also a big producer of GMOs, so those you can keep on avoiding. Conventional seeds and seed banks are the biggest concern. The merger creates a situation where, even if you are a biological producer, it is almost impossible not to buy certain crops from the new company. Therefore, consumers, farmers and NGOs should fight together to preserve the existing biodiversity in agriculture. The all plants and plant genetic resources should remain available for everybody for further breeding and putting patents on crops shouldn’t be allowed. At the moment this is a major point of contention. We know very well that at this moment it isn’t easy for every farmer not to do business with big firms. There is now very little choice – farmers are financially bound by bank loans and they have contractual obligations to buy certain products. But contracts are there to be broken and after all farmers who produce sustainably for local markets are better off. It is of course a big issue that these agricultural behemoths have a powerful lobby in Brussels, Washington and in other capitals. Until now they have managed to stop a lot of unfavourable regulations. With Reclaim the Seeds ASEED aims to create an alternative and to raise awareness for these issues. We facilitate the exchange of seeds and the conservation of rare plant varieties. ASEED finds it important that farmers and gardeners choose consciously for good seed producers and for seeds that are adjusted to the local conditions and free from patents. 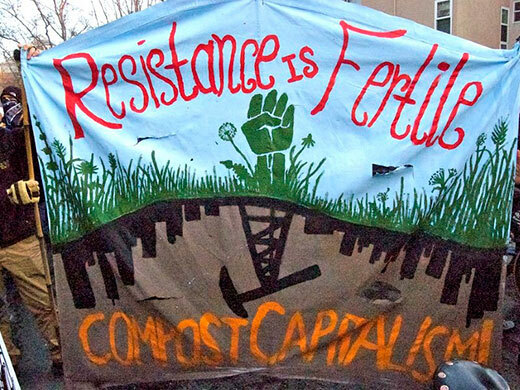 Also during the upcoming Reclaim the Seeds events we will do our best to achieve this. The Monsanto Tribunaal, which took place on October 14-16 in The Hague, aimed to publicise the crimes committed by Monsanto and to build support for the recognition of ecocide as a crime. ASEED was involved in the organisation of that event too. Find out more about the Bayer-Monsanto merger in this informative and alarming article on Alternet.org: ‘A Five-Alarm Threat to Our Food Supply’: Experts Describe Bayer-Monsanto Merger – A scary future for farmers around the world.